I’m headed out to San Francisco, CA to produce one of my favorite new bands, Sea Knight. 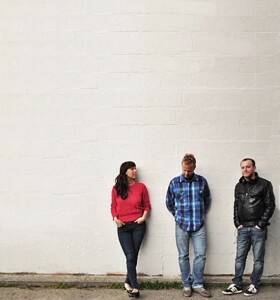 Here’s how their bio at www.seaknightmusic.com describes them: sea knight’s music can be at once fierce and as soft as flight. Delivering dynamic, moody indie rock, the San Francisco band constantly switches between minimalism and layered rumblings—dark melodies are balanced with stirring rock energy, and genuine emotion is at the heart of lyrics and sound. One song might lure you in with haunting vocals while the next song might blast heavy drums with powerful wailing. This entry was posted on Tuesday, September 3rd, 2013 at 6:45 pm	and is filed under Uncategorized. You can follow any responses to this entry through the RSS 2.0 feed. You can leave a response, or trackback from your own site.